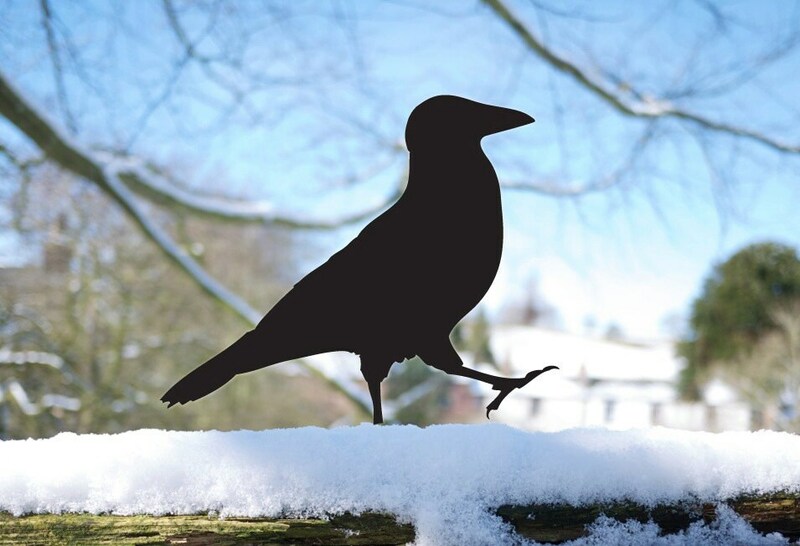 Place him in the ground (in a safe area), in a plant pot or screwed to a fence or balcony. 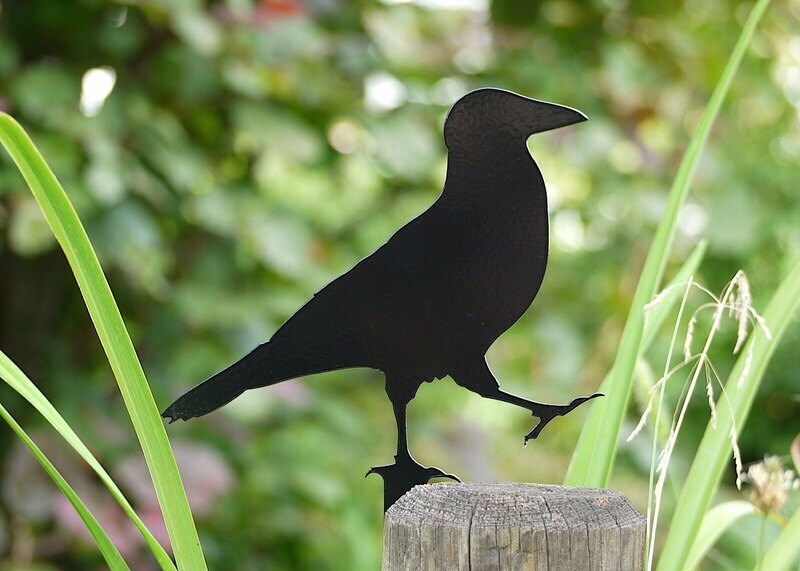 He is made from 2.5mm powder-coated black steel and is suitable to go in the earth between the flowers. 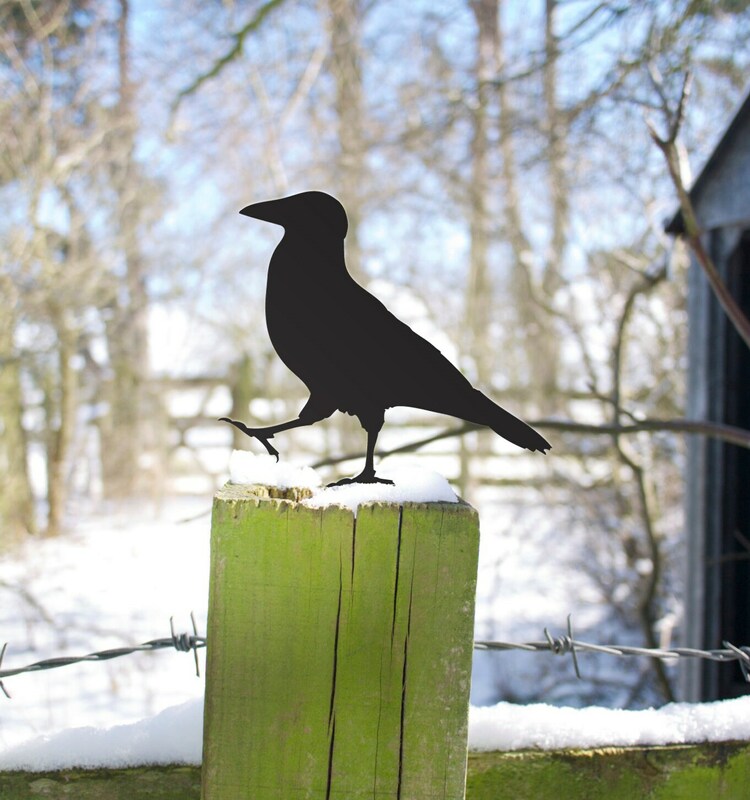 He has 1 screw hole, so he can also live on top of a fence, a gate or a post box. (no screws supplied). approx. 7" x 8" x 0.1"
Please note : NOT a toy. 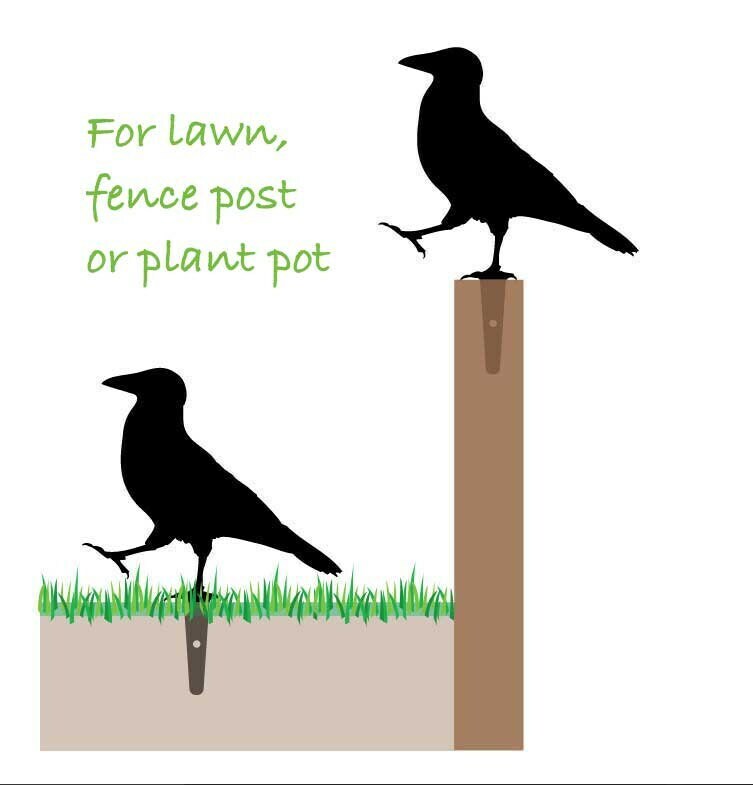 As with anything sharp, it should be positioned or stored in a safe place where it can cause no harm. This took 5 weeks to get to me since it came from another country. It was worth the wait. Looks awesome on my fence. The finish is really nice. Love it! 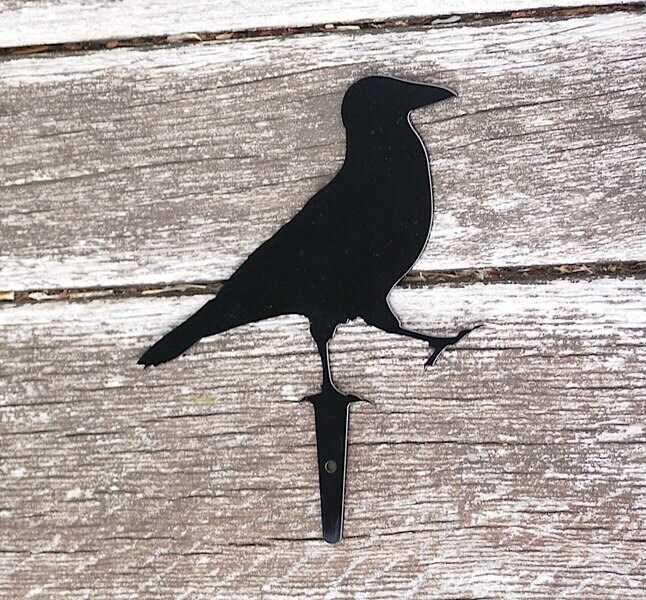 Delightful, unusual addition to my deck railing, stepping across like I've seen a real crow do! A conversation piece. My brother and his wife also love the peeping black cat I bought them for Christmas from this same craftsperson. Reasonable shipping cost and time from across the pond. Purchased as a gift for someone and they loved it. Arrived very promptly.